133 McMillan Street, Parksville, B.C. When the blind storyteller Homer told The Odyssey, he was telling the story to earn his food and a place to sleep for the night. People sat mesmerized as he enchanted them with the stories of Odysseus struggling to find his way home after the Trojan War. Homer told these stories from the point of view of Odysseus. Nausicaa, the daughter of the man who was finally able to send Odysseus home to Ithaca. Storytelling evenings are very popular and people are encouraged to purchase their tickets in advance. 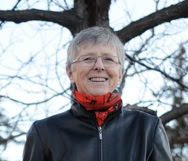 Jan Andrews is one of the best epic storytellers in Canada. She will join us from Ottawa to share her stunning presentation. A founding member of the Storytellers of Canada, she was recently recognized by them with their highest honour: The StoryKeeper Award. She was also named the StorySave teller in 2014 A large part of Jan's work has been the telling of epic stories such as the Iliad and the Odyssey. Her first recording as a StorySave storyteller recognizes this important work and will be available for purchase. Her appearance is made possible by a grant from the Canada Council for the Arts and is a rare opportunity for the people of Oceanside to hear one of Canada's most renowned storytellers.